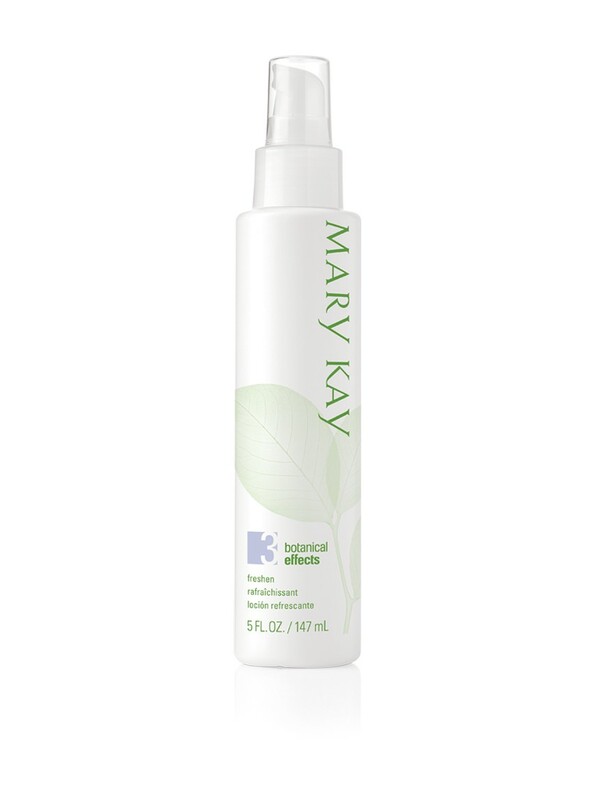 With the goodness of botanicals, the Mary Kay® Botanical Effects® Freshen Formula 3 for oily skin is a nondrying formula that gently removes excess residue from skin. Botanical Effects® Freshen Formula 3 for oily skin, part of the Botanical Effects® Skin Care regimen, has a nondrying formula that gently removes excess residue and oil without drying the skin. · Kanuka (white tea tree) is known for purifying benefits. Sources of this botanical extract are well known for their purifying benefits that may help prevent pores from becoming clogged. · Guava is a known source of salicylic acid, an exfoliant shown to slough away dead skin and help unclog pores to reduce surface oil. Botanical Effects® Freshen Formula 3 for oily skin is one part of a simple regimen designed to help your skin achieve healthy balance. It contains two nourishing botanical extracts – Silymarin and Luo Han Guo – the sources of which help defend against environmental damage and help promote healthy skin. Oily skin gets pore-clearing help from kanuka and guava.